Iranian President Hassan Rouhani said the ongoing crisis in Syria has no military solution and can be settled down only through peaceful means. He made the remarks on Friday in Tehran, addressing a trilateral summit between the presidents of Iran, Russia, and Turkey on the protracted crisis in Syria, the official website of the Iranian president said. “Today’s summit is being held in continuation of the successful efforts of the three countries within the framework of the Astana Process to effectively confront terrorism and put an end to the Syrian crisis, based on the demands of the majority of the Syrians. 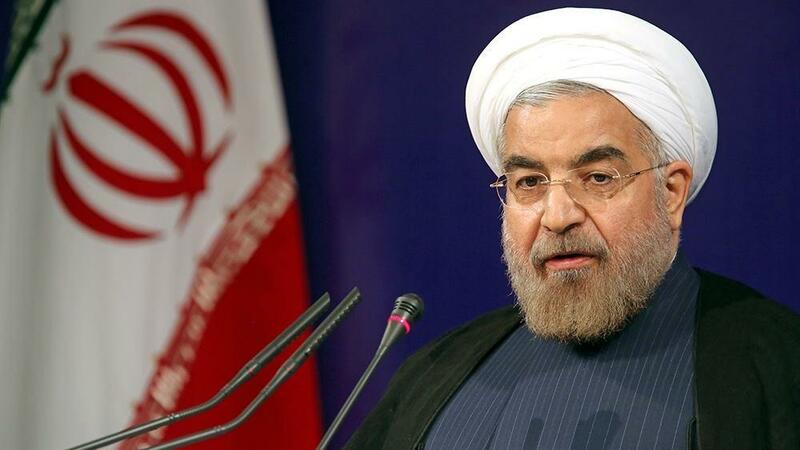 This summit is also an opportunity to discuss our joint actions in the current and future stages,” Rouhani said. “Given the complexities of the Syrian crisis, it was very important for the three countries to achieve a common framework based on the fundamental principles of preserving territorial integrity and integrity of Syria and respect for national sovereignty and the right of the Syrian people to determine the future of their country in attempting to quell the flames of war in Syria,” Rouhani said. The Islamic Republic of Iran’s presence in Syria is at the request of the Syrian government and to fight terrorism in the country, and the continuation of this presence will be on this basis, Rouhani noted. “At the same time, this presence, neither in the past nor in the presence, has not been -and will not be- aimed at imposing its opinion, and will support the will of the Syrian people as a friendly nation," said Iran's president. Rouhani went on to add that fighting terrorism is a common international demand, but when the implementation of these demands comes within the framework of the recognized borders of another state and nation, it will not be possible to do so unless it happens through explicit request and clear consent of that country. "We understand the concerns of some countries in the region about the threat of terrorism and separatism, but we consider cooperation with the Syrian government the most effective and lasting way to address these concerns, and believe that other solutions, including through direct intervention and without coordination with the Syrian government, will lead to the deepening of the crisis,” he stressed.